Greens aren’t always flat and you need to understand the slope. You need to judge not only whether you need to borrow to the left or borrow to the right on a side slope but also whether you are putting uphill or downhill. 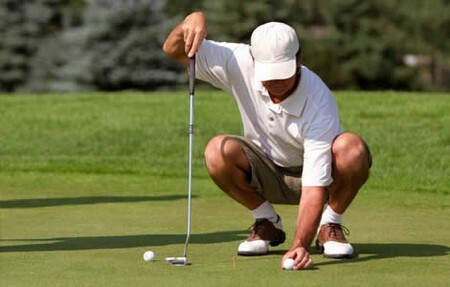 You will see many different putting stances, even at professional tournaments. Most players, however, favour a fairly narrow stance, with not more than 12 in (30 cm) between the feet, with the ball just inside a line that is level with the left instep. 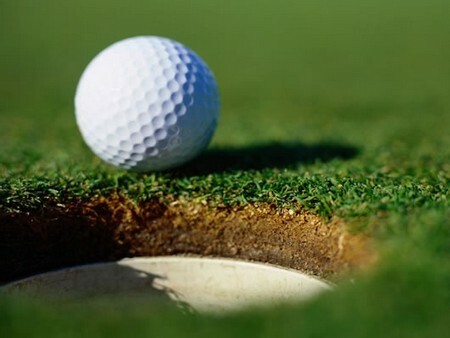 An accurate approach shot can save at least one putt per hole, so it is well worth your while improving this part of your game. When you practice your pitching, be sure to write down the results in your notebook for reference when you are playing. Though golf is very much a two-handed game, with left and right working as one with as even strength as possible, the harder you make your left arm work in the backswing the better it will be. The basic golf swing is so simple that a child of eight can do it. Ironically, most adults can’t! Young children have no inhibitions and learn by copying – something for novice women golfers to remember. 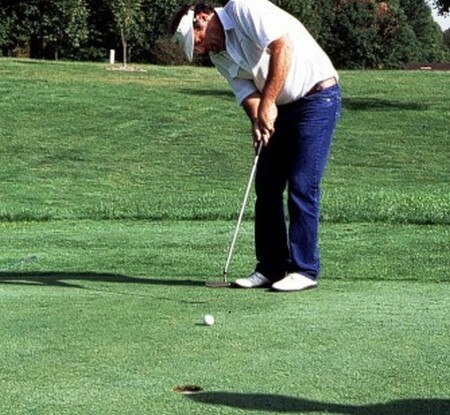 The successful normal pitch is a stroke-saver for golfers at all levels, enabling you to land the ball near the flag with a possible one-putt finish. 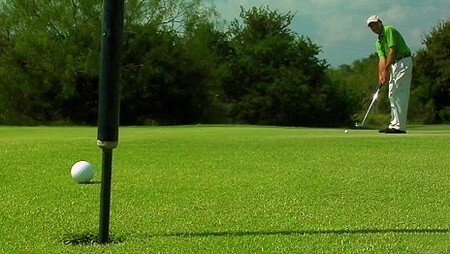 For the beginner, a successful normal pitch will at least never miss the green. 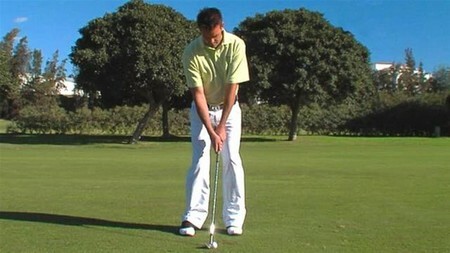 Many golfers underestimate the importance of the followthrough. It controls both the distance and direction of shots, and consistency of the followthrough is an asset. 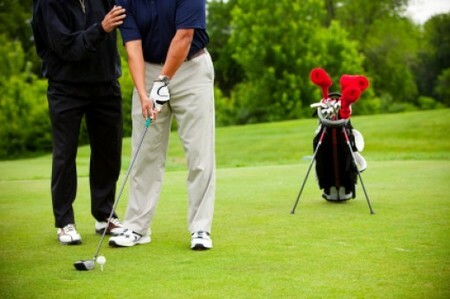 First, practise the short-putt swing without hitting any balls. Simply concentrate on making a smooth, short back-and-forward movement. Do this three or four times, or until you feel you have the right rhythm.